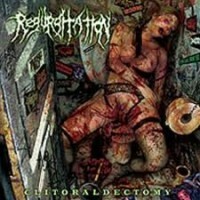 Review: Blasting it's way out of the gate comes the previously un-released "Clitoraldectomy" EP from Regurgitation! This EP was originally recorded in 2002, but never released. What you get with this EP is a total of 5 tracks and one of them is a cover of Suffocation's classic "Infecting The Crypts", which I must say is fantastically done. For the most part this release has a pretty standard death metal sound for the time when it was recorded. There isn't anything that I would consider groundbreaking from this release, but none the less it is a good one indeed. All the right elements of brutal death metal are present, grinding guitars, blastbeats, and some very strong and killer vocals. Overall I would recommend this to any fan of brutal death metal and death metal in general. 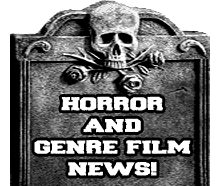 From what I have read Regurgitated there is possibility that they may have enough material for a new full length album, but only time will tell if it will ever be released or even recorded.